Online bill pay puts money in your pocket by virtue of saving you a valuable commodity—time. Your list of bills and vendors may seem as long as the Mississippi, making payments a constant part of your day. 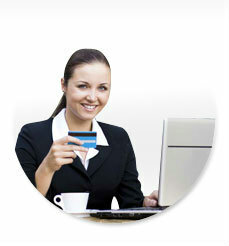 This service allows you to pay bills 24/7, anywhere with internet access. Avoid unnecessary trips to the bank, and keep your focus on everything else vital to your success. First month available for free! Learn more through our online bill pay demo. Banking functions at the click of a mouse.